Bach and Beethoven at the Sacramento Philharmonic and Opera. 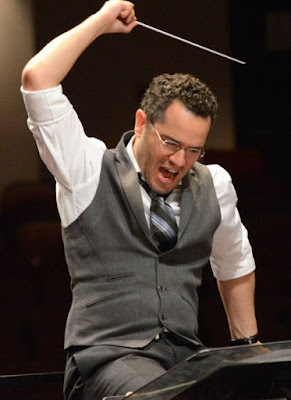 The latest concert with the Sacramento Philharmonic and Opera featured guest conductor Andrew Grams with Peter Serkin and Tomoki Park on the two Steinway grand pianos. The concert opened with the Brahms Academic Festival Overture. When they reached "Gaudeamus Igitur," my friend and I began to sing along. I even remember the words from when I played a student in The Student Prince. The second piece was for 2 pianos and orchestra by Toru Takemitsu and was composed in part for Peter Serkin. I found this piece pleasant and enjoyable, but was shocked to find that I did not like at all the Bach Double Keyboard Concerto which was switched to BWV 1061 at the last minute from 1062. Bach's keyboards would have been harpsichords, but we are all well accustomed to pianos on these pieces. The concert closed with a lovely rendition of Beethoven's Symphony No. 7. Beethoven always comes through. I liked Andrew Grams enthusiasm. 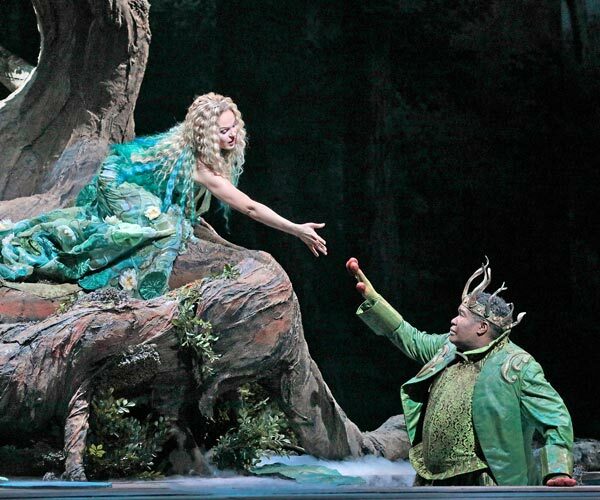 Dvorák's Rusalka was live from the Metropolitan Opera on Saturday. Many of the people around me had never seen this opera. This is my fourth time with all the previous times starring Renée Fleming. I was completely won over by the water nymphs at the beginning. First they danced and then suddenly as if by magic they sang. 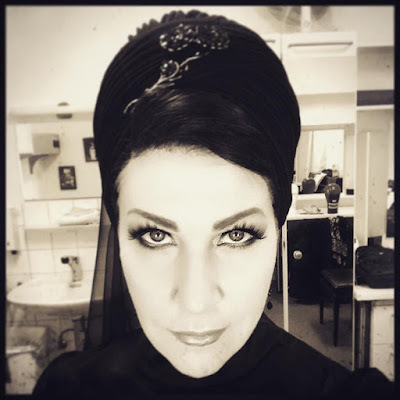 In case you thought after her appearance in Nabucco that Jamie Barton was boring, her Jezibaba was evil and fun and completely upstaged everyone else. Except maybe the water nymphs. Eric Owens owns the Gnome. He pointed out in his interview that this was his actual Fach while L'Amour is more a baritone role. This is an excellent role for Kristine. Someone has to step into Fleming's repertoire. Her acting is far more intense than Fleming which changes the dramatic intensity of the opera. Her voice is not really heavy enough for most of the roles she sings, but if she keeps this under control, it should be good for her. I thought the castle sequence in Act II worked better here than other productions I have seen. Brandon was the picture of prince charming. I liked it but don't want to go on and on about it. The Wagner loving conductor thinks it's one of the great post Wagnerian operas, but for me it's just ok. I tend to think of Dvorák as post Brahms rather than post Wagner. Wagnerians ignore Brahms. Matthew Polenzani was an excellent host. This performance of Verdi's Il Trovatore from the Royal Opera House in London played in my local movie theater. We were told that when this opera first played in America, it was called The Gypsy's Revenge. 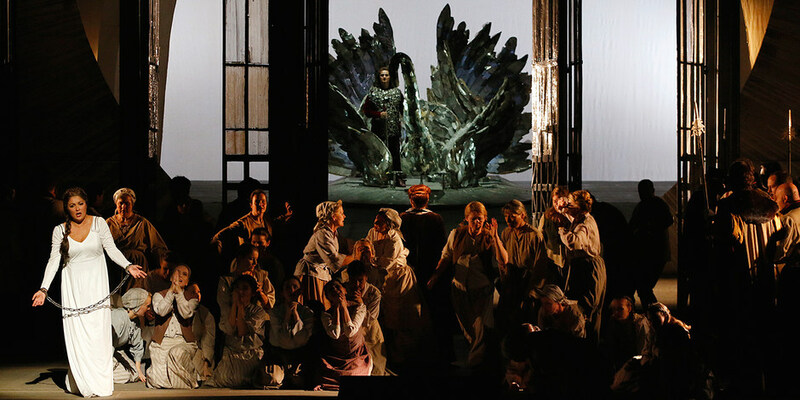 This is my eighth viewing of this opera and my sixth production since I began blogging. Two were Sondra Radvanovsky, two were Anna Netrebko, one was Barbara Frittoli and one was Anja Harteros. This is what an opera should be. Here the production focuses on explaining the action. 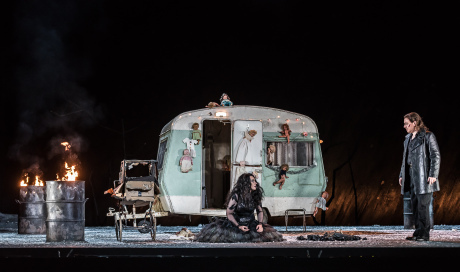 This is one in a small set of operas I am calling the caravan series: Il Turco in Italia from Los Angeles, Le Comte Ory from Zurich, Die Meistersinger from Munich and this performance all used a caravan at some point in the action. In this performance Azucena lives here with her collection of baby dolls. In this production all of the scenes are staged in the open air instead of the usual giant buildings with no particular identity or purpose. The count and his army are at war with the gypsies. He is in love with Leonora who is in love with the troubadour who sings to her from a distance. If we are in large buildings, we cannot help wondering how a character from one group might casually approach a character from the other group. If we are in the open air, this is not a problem. 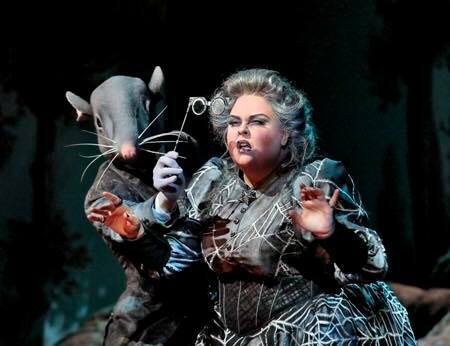 Of this cast Anita Rachvelishvili was the most outstanding. Her Azucena was intense and a bit mad. Haroutounian sings beautifully but is not the big voiced singer we find with Radvanovsky, Netrebko or Harteros. I enjoyed Kunde's singing but find him a bit too old to be Anita's son. I have only a short comment after hearing parts of I Puritani on the radio from the Met. Diana Damrau is exactly this kind of singer. I doubt that she would want to limit her repertoire to bel canto, but she and Javier Camarena were glorious. 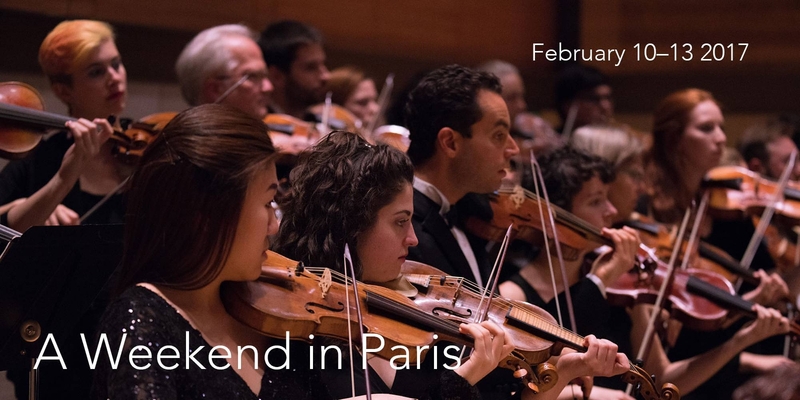 American Bach Soloists presented a program of French Baroque music in Davis with Jeffrey Thomas conducting. French music is not as known as German or Italian music of the same period, so for me this was a treat. Only Rameau is familiar to me. The program points out that the end of Lully's monopoly made this explosion of music possible. Classical Grammy awards have followed their usual pattern. They prefer more modern, less traditional music. Mozart no, Corigliano yes. On February 10 Leontyne Price will have her 90th birthday. This aria from La Forza Del Destino is one she was particularly noted for. This is the amazing Barbara Hannigan on her experience with singing Lulu. Lulu may possibly be the most complex role in opera. She grows as ones familiarity with her grows. Wien/Berlin (MH) – Die Sopranistin Anna Netrebko (45) wird zur Österreichischen Kammersängerin ernannt. Wie die Wiener Staatsoper am Mittwoch mitteilte, wird der im russischen Krasnodar geborenen Künstlerin der Titel am 16. Februar verliehen. 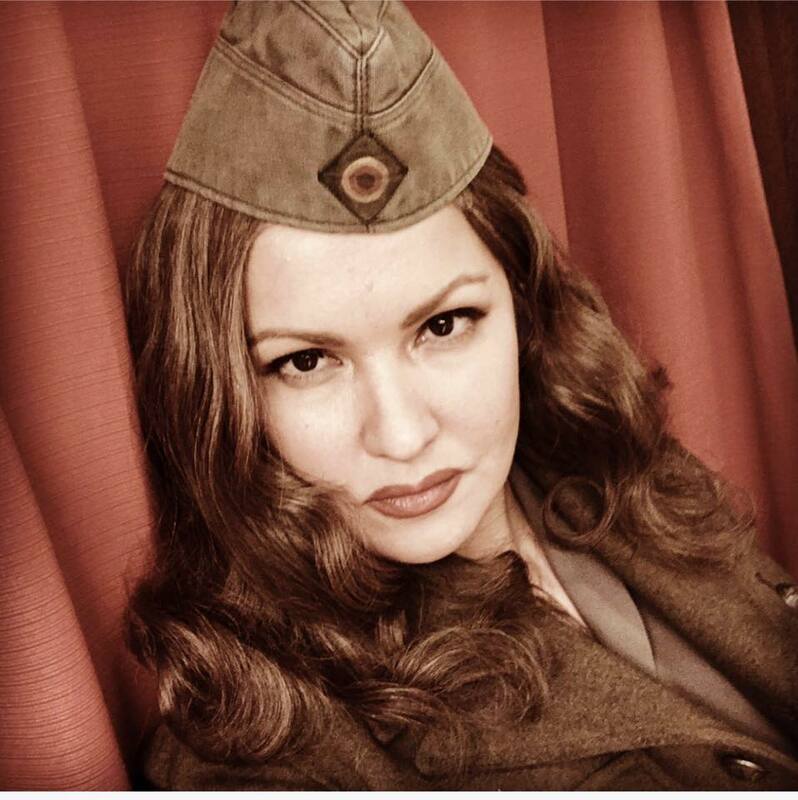 This means that the Vienna State Opera has announced that on February 16 Anna Netrebko will become an Austria Kammersängerin or chamber singer. Some years ago she became an Austrian citizen. A webpage called Opera Musica has suddenly come into my awareness. If this is old hat, then please forgive me. It focuses on singers, something I'm always looking for. You never have to wonder who is singing. There is a page of artist profiles with pictures and schedules. There is a page of operas and concerts, also with pictures and details. They say you can buy tickets through their page, though I haven't tried it. There is a page of videos of the artists in performance. There is a page of artist managers. I will add this to my lists. I might ask you to guess who this is. On February 26 she will live stream from Munich, presumably in this outfit.